There are few people that can consider themselves as great an expert on white papers as Gordon Graham. Gordon is a white paper writer and consultant who has has worked with Google, Oracle, Intuit, and many other Fortune 500 companies. He’s interviewed over 200 C-level executives and written over 170 white papers. He considers himself a B-to-B copywriter. His career path took him from software company technical writing and journalism to a marketing executive in a software company before becoming an independent copywriter who specializes in white papers and case studies. 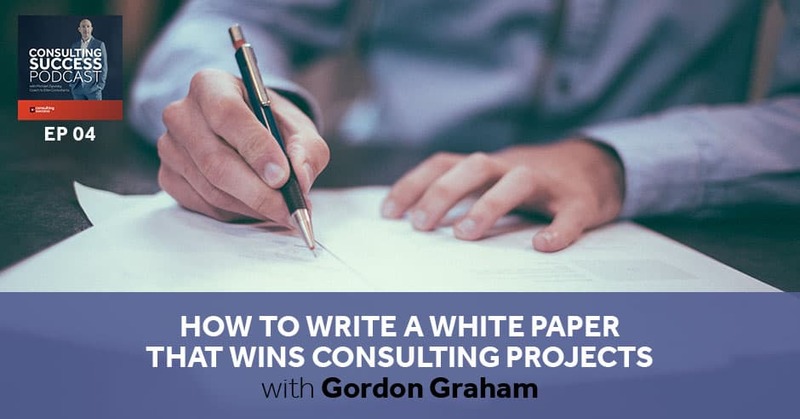 Gordon has spent the last 20 years dominating his field as the expert of white papers. 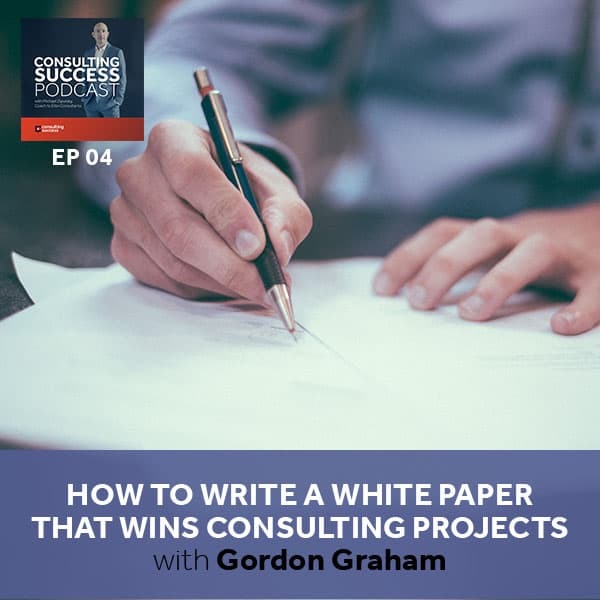 In this episode, Gordon and I discuss the value of white papers as content-filled marketing tools that you can use to set yourself apart as the expert consultant companies want to hire. Set yourself apart in the consulting business by highlighting your specialty through customer stories and white papers. We have Gordon Graham. He’s a white paper writer and consultant. He’s worked with Google, Oracle, and Intuit among many other Fortune 500 companies. He’s interviewed over 200 C-Level executives and written over 170 white papers. Gordon is based in Ontario, Canada. I’m excited to have Gordon because he’s not only a white paper writer, he’s a very accomplished consultant and a master at marketing his craft. Gordon, Can you tell us more about the work that you’re doing these days? I’m a B2B copywriter. I’ve done lots of other things in my life, technical writing for software companies and journalism, then I was a marketing executive in a software company. That’s when I found that there are certain types of marketing documents that worked better than others, so I focused on those. Now I’m an independent copywriter and I specialize in white papers and case studies. You spent many years working as a freelancer, an employee, then VP of Marketing before establishing your specialization, correct? Yeah. It was around 2001 I got very interested in white papers. In 2005 or so, I set up my website. I was already in my 40s at that point. It took me a little while to hit the thing that I’ll be doing the rest of my career. When you were the VP of Marketing at a hardware/software company, you found that most methods of marketing weren’t working that well, but one did better than all the rest. Can you share that story? Are you talking about the little booklet we did, the little special report that we did? Yeah. Talk about how that led to white papers and exploring that whole area. That was in the late ‘90s and we were quick growing a software/hardware company. We did bar coding or data collection for ERP systems like Oracle and SAP. We were an add-on product to those big giant products. We tried every possible channel of marketing. We had our website early on, which was fine. We tried all different types of marketing collateral. We went to trade shows. We did some advertising. We did direct mail. The two things that I found that got the most traction were case studies or customer stories. There is an industry standard format for those, two?page PDFs written up like a magazine article. Those get eaten up and prospects love them because what they do is reassure someone that’s looking at buying from you, that another company pretty similar to theirs had a good experience with you. Customer stories are so powerful because you can repurpose them in about 25 different ways. They’re an extended testimonial from a third party, much more powerful than advertising and they’re very factual. They’re very driven by actual events. White papers tend to be on a higher level talking about an entire problem that afflicts an entire industry, so where a customer story talks about a specific experience of one customer, a white paper talks about a whole industry or a whole niche that’s experiencing a certain problem and suggests a better way to tackle that problem. Ideally, they are quite educational and they provide very useful information that can help a business person to understand an issue, to solve a problem, or to make a decision about which way to go in the future. Back to when you were the VP of Marketing in this company, you were trying a lot of different things and then you noticed these kinds of case studies and customer stories were working well. Can you give us a little bit more insight into exactly what you were doing at that time? How were you putting these out? Were these put up on your website? Were they going to trade publications? The classic way to do a customer story hasn’t changed much over the years. You get a customer that’s very happy, a raving fan, who agrees to be interviewed. You interview them and write it up in a one or two-page article that you format as a PDF, and put it on your website. That’s only the beginning. Customer stories are so powerful because you can repurpose them in about 25 different ways. For instance, you can pull up some slides for a company slide deck out of it. If you record the interview, you can extract a nice little MP3 audio testimonial out of them. You can use a little snippet on a website with the company’s logo and then you can click through to get the bigger story. You can use an especially detailed a customer story for presentation at an industry event or conference. They’re the richest material for re-purposing. You can also tuck those into any kind of package where you’re responding to an RFP or you can send a link to them or the PDF themselves out to a fresh prospect. My advice for those is to make sure that you have one for every major customer segment. If you sell on the East Coast, you want to have a good customer on the East Coast. Say you consult into two different vertical markets, you want to have one customer story for each vertical market. You would have two great customers in the right location, one in each of your chosen verticals, and that covers your market. Then you think, “How often do you need to put out a new one?” You might want to put out a new one every six months or every year or so, but you have to keep a nice fresh flow of those coming. That’s in terms of the customer stories. The white paper that we did that got us the incredible results, you wouldn’t look at it and think it was a white paper because we published it like a little booklet and it was called “How to Unleash the Power of Your ERP System with Barcoding.” It was like a fictionalized customer story because the story was a walkthrough of a fictitious company called Acme Tricycle Works, and there are two classic personalities or personas involved in a sale. It was Victor, the Vice President, and I forgot the name of the engineer, but there’s an IT. I can call him Ivan, the IT advisor. You set the stage within this so that you have the people that would generally be involved in a sale. Those were the two main characters? Yep. It was as simple as a children’s story. They were walking through the tricycle works, pausing at every section of their factory, so they were at shipping and receiving, then they were at their inventory of parts and supplies, and then they were at their main production line, and then they walk through the office and they pointed out where the finance guys sit, and they used it. They would talk about, “Remember how terrible it was last Christmas when we had all those orders and we couldn’t fill them and everybody was going crazy?” “Last Christmas after we got our data collection system, things are so much smoother.” “That was great.” It was mostly dialog plus sprinkled with some factoids. I went back for about ten years’ worth of trade magazines for that niche and sprinkled in a lot of little facts and figures about the smallest barcode ever made were once glued to the abdomens of honeybees to track honeybee travels, and the biggest one ever made was on the side of a battleship, stuff like that to give it a little interest. That book was about 48 pages. It cost us a fair bit, about $25,000 all told, to print that and research it and write it, but the result was millions and millions of dollars’ worth of sales. Our West Coast sales rep put it best when he said, “When I go into a meeting with a prospect and I lay out a copy of our handbook in front of every place for everybody on the selection committee, I can see in their eyes that we have raised up the vendor list to the very top of the list because we look serious and we’re doing something that we obviously invested and that we believe in because it’s a physical object that’s printed and it’s simple and accessible.” It explains some of the benefits and helps paint the picture of some of the benefits that our prospective company may enjoy if they buy from us. That was an expensive project, probably more expensive than your listeners will want to tackle, but the principle remains that if you put out useful information that helps your prospects understand an issue or solve a problem, they are going to eat it up. That’s a great example because even though it costs you $25,000 back in those days when you, launched it, it made you millions and millions of dollars, so your ROI on that was obviously very strong. The typical sale including hardware, software, and services was $150,000 and up, so we didn’t have to make too many sales to a payback for that booklet. Let’s talk a little bit more about why white papers work so well. Even going back to this scenario, I’ve heard you say a few different things. The one that you mentioned is that when the salesperson goes into a meeting and they put this booklet on the table, that got the people’s attention as a way to stand out. What are the other reasons that a white paper works so well as a marketing tool? On the highest level, white papers are a fit into this huge trend of marketing with content. Your listeners have probably heard that, although it may be a little fuzzy idea for some people. The idea of marketing with content arose because of the web. In the old days, people used to have B2B buyers, used to have to deal with salespeople. To find out any specifications or any pricing or anything about your offer, they would have to talk to a salesperson. The salesperson would get them in their clutches and do the typical sales thing. The salespeople have been more or less disintermediated. They’ve been cut out of the process. The middleman is gone. The last survey I saw was 96% of all B2B shoppers start the process by doing a search, and most of those are going to be doing a Google search, two thirds of them. This is how B2B sale begins these days. If you put out useful information that helps your prospects understand an issue or solve a problem, they are going to eat it up. People serve themselves. B2B buyers serve themselves, so they come to your website in Google, they click on it and they look around. What are they going to be most attracted to? I’ve got something a little bit of a hard truth to impart, which is that nobody cares about your company. There we are trying to get our good image and get a nice logo and get our website altogether and tell people how proud we are of our company. Nobody cares. They care about their problems like we care about our problems. One of the things I would recommend to your listeners is to stop fussing about their branding and their logo and their company name and stop twiddling with their graphics on their web pages. The most important thing is to turn it around and put yourself in your prospect’s shoes and think about their troubles. What marketing with content does ideally is B2B vendors generate content that engages prospects that helps them, that gives them some useful information or education. There are all different channels of content and there’s all this social media, but I would separate in our minds things like social media, Twitter, LinkedIn, and Facebook. Those are not ways to publish content. Those are ways to point to content. It doesn’t matter if you have 8,500 followers on Twitter. If you don’t have anywhere to send them, they’re not going to be very engaged, but if you go out to Twitter and say, “We published this fantastic white paper about six things you must know before you sign on the dotted line for our type of service,” and it’s a useful piece of content, you’ll get a lot of traction out of that. That’s a high-level marketing. White papers are a form of marketing with content. There’re all different forms. Customer stories are a form of marketing which content, but white papers are the top of the pyramid, the king of content, because nothing else will work for as long and generate the kind of results as consistently as a well done white paper. Why is that though, Gordon? Where this conversation is going is getting into the heart of what we’re going cover in the action bite. On that point, why does it work so well compared to other things out there? You’re saying that the white paper is the king, but when you look at all the other options that people have, what is it that makes the white paper work so well? Let’s compare it to one that’s growing in popularity, say videos. Everybody likes watching videos and there’s a big discussion, “Are white papers dead? Nobody likes to read. People are going to just watch video from now on. Forget all those texts. Just do video.” I have a few problems with that. One is that I’ve seen firsthand and I know how I operate and I talk to my clients all the time and they tell me about a complex B2B sale takes place, and they’re getting more complex and they’re taking longer, and they’re drawing in more and more people because everybody is more risk averse these days. Nobody wants to make a mistake. It can be a career-limiting problem if somebody in a company hires the wrong consulting firm or buys the wrong system or even buys the wrong office chair. Everybody’s cautious and everybody’s watching their pennies. Are you kidding me? That doesn’t happen. That happens is people pass around reports, they email each other things. They may snip out the first page of a white paper and pass it around to everybody on the committee. A white paper sums up a vendor’s best thinking and best argument and their best shots at their competitors. Very few people have the skills or the budget to do that in a video. Videos are great, but if you wanted to do a video that was as effective as a white paper, you have to spend five times as much to produce it and you’d have to get an experienced director and experienced scriptwriter and some acting talent and lighting and makeup. I’m not saying that video is a bad medium. It’s fantastic. Everybody likes watching video, but to move a business buyer down sales cycle for a complex expensive sale, a white paper is going to work far better than a video. There’re two things that you’ve mentioned here that I want to dig into. One is initially you talked about how you put together this booklet in a previous company when you were the VP of Marketing, 40 pages, big impact, big ROI it got for you. You mentioned here that a white paper only needs to be six to eight pages, well-researched, obviously well put together, so that’s one thing to clarify. It only needs to be around six to eight pages, is that correct? Yeah. The typical length for a white paper is six to eight pages. That booklet that we did, that’s why I’m saying you might not look at it and think it was a white paper, but it served the very same purpose, and it was a slightly more elaborate one. I wrote a white paper for Google that was 25 pages, but that was trying to sum up an entire industry development. It was used at a conference and they made a presentation based around that. These things can be longer or shorter. In fact, just about every consultant should have some numbered list white paper, and those could be only a couple of pages long or they could be three pages. They don’t have to be six to eight pages. That would be great because, as mentioned, the kinds of white papers that you’ve created and some of the examples to this point, some of our listeners might be thinking, “That sounds like for a much larger company or for going after a much more complex sale.” If we can put this in context for a consultant, that would be great. People think that only large companies do white papers. If you manage in your two to three-person consulting firm to put out a nice white paper, you’re going to look big and it’ll help level the playing field between you and a bigger competitor. I’m zipping down as we speak through some that I’ve done and I want to read out the ones that I’ve done for small companies, “How to Avoid Five Blind Spots in Internet Filtering.” That was a very small software company. “How to Cut Wireless Costs. Five Strategies and Fourteen Tactics for CFOs,” that’s a two-person company. “Seven Steps to a Sensible BYOD Strategy so You Can Sleep at Night,” that’s for about a ten-person consulting company in North Carolina. BYOD is Bring Your Own Device, so this is the idea that people will bring their own iPhones and their own iPads to work and want to use them. One of my favorite ones is “Nine Best Practices for Colleges and Universities Moving to Online Course Evaluations.” I’m reading all the ones that are numbered lists, but even Google, I did one “Seven Factors to Consider When Choosing a Search Optimization Platform.” “Seven Tough Questions Every Insurer Must Ask About Your Next Hospital Contract.” That’s a very small company. The most valuable business processes are unstructured. What you’re saying here though is that it doesn’t matter the size of your company and it doesn’t matter if you’re a consultant or a technology firm, software, or otherwise. 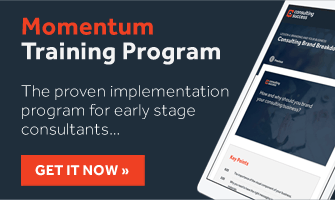 Consultants can use white papers to differentiate themselves in the marketplace as a very effective marketing tool to get the attention and earn trust of the kinds of clients that they want to work with. You’re saying so many great things. Let’s look at the trust factor. I started talking about marketing with content and putting out useful information. I’m a one-person company. I’ve got some contractors. I’ve got a special report on my website that’s been downloaded 1,500 times and it’s called “How to Pick the Perfect Flavor for Your Next White Paper.” It’s about a fifteen-page white paper and I’m trying to help people understand the three main types of white papers. I call them chocolate, vanilla, and strawberry, so the cover of that report is three scoops of ice cream. I can’t tell you how many people have said, “I love that ice cream report.” That’s what I call it, my ice cream report. That’s what everybody calls it and “We’re thinking of doing a chocolate flavor.” “That is so great.” I’m not saying at the end of it you got to come to me and I’ll write your white paper. I’m saying here’s how to use white papers more effectively. That’s an example from my own personal business, but here’s the one I wanted to tell you about, “Six Things You Must Know Before You Buy a Business Process Software.” This is a one-person company. He’s a process consultant and he understands this one genre of software very well. It’s called business process software. What he’s saying in here is this software only works for very structured processes. Most of what knowledge workers do is unstructured. The most valuable business processes are unstructured. Your key people probably won’t want to use this software, but there’s a middle way to bring in and gain some of the benefits of this type of software. We are calling it a framework and your key people will enjoy using a framework if you present it to them correctly. He’s saying, “Before you buy some of this stuff and tie your company up in knots, read this.” I got to believe that somebody that reads this and goes, “Maybe we were about to make a huge blunder and spend a quarter million dollars on this business process software. According to this guy, it’s not even going to help us. It’s going to hurt us.” I have the feeling that a lot of people are going to pick up the phone and want to get him in for a call and this main go-to-market device he’s been using and it’s been working fine for him because he’s helping people understand a problem, see an issue, or see a wider horizon. He wrote that and I helped him tweak it a little bit. You can see these six things, five things, seven things, four issues, seven gotchas, the numbered list is a fantastic format because everybody likes reading them. They promise a nice short, snappy read. You can repurpose them as blog posts. They’re fantastic. As far as the trust goes, say that your company’s looking at three different consulting firms, and one of them gives them a white paper like this and the other two say, “Yes, we can help you install a business process software.” Who are they going to trust more? The ones that are saying, “We’re so good and we can help you and sign here,” or the guy that’s saying, “Here’s something you’ve got to understand before you go for this and here’s some useful information I’ve learned in my ten years working with this kind of software?” Who are they going to trust? Most buyers are going to trust the company that gives them some useful information instead of trying to get them to sign on the dotted line. This is totally applicable to small consulting firms. I have interviewed lots of business executives and the number one problem that they generally get around to saying, if I asked “What’s your biggest problem?” especially smaller companies, they will often say, “Sure it’s hard, the economy and everything, but what’s hard is us standing out from the crowd. Everybody in our niche talks the same, they use the same lingo, we all have about the same prices. It’s hard for us to stand out and be different. If we’re up against some competitors, it’s hard for us to get our edge and gain any kind of advantage over them.” Marketing with content is the way to gain an edge of becoming a trusted advisor, which is exactly what consultants want. We want our customers to trust us and listen to us, and the classic thing is meet us, know us, and like us, something like that. You said it very well before when you said that everyone wants to stand out from the crowd, but no one wants to do anything different. It’s this mindset that everyone wants to have an advantage. They want to be seen in the marketplace as an authority. They want to have that trust, but at the same time, most consultants and most people in business end up doing the same thing that everyone else is doing, thinking that they’re going to try and do it better. There’s clearly ways that you can stand out in the marketplace and using white papers is one of those good ways to do that. You have one of the best defined specializations and focus I’ve seen. On your website, your value proposition, your statement is very clear. You say, “I help B2B technology firms tell their stories with crisp, compelling white papers. When you work with me, your white papers generate more leads, create more buzz, and cement more sales.” That is so focused. 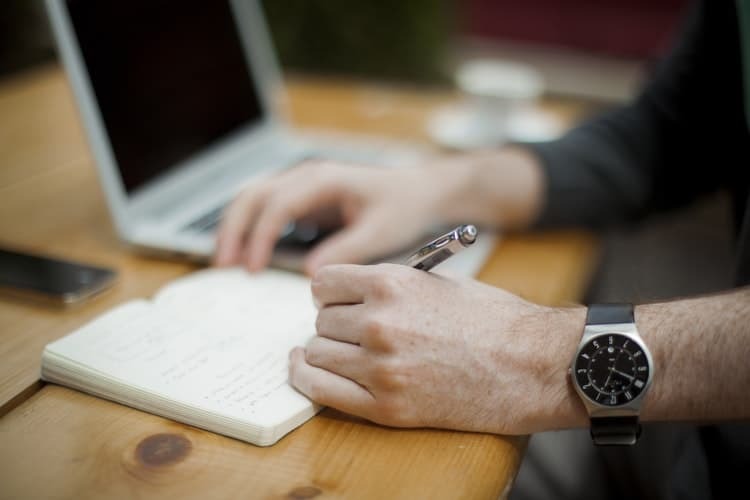 In the beginning you mentioned that you’re a copywriter, but why aren’t you saying that you’re a writer or a marketing writer or a copywriter on your website and in your marketing materials? Why are you focusing so narrow on being a writer specifically for white papers? It goes back to when you do an elevator pitch. A lot of people give their elevator pitch as a label, a genre. I am a copywriter, I’m a B2B copywriter, I’m a consultant, I’m a process consultant, I’m a SharePoint consultant. That isn’t a very good conversation starter because what reaction do you usually get if you just label yourself and other people nod and go, “Okay,” and then they go back to wanting to talk about baseball or whatever they were thinking about? It is not open-ended at all. By me saying “I help companies tell their stories,” that’s a little bit open ended and it might intrigue somebody that might say, “How do you help a company tell their story? What’s that mean anyway? Crisp compelling white papers, what are white papers? I wonder if white papers could help my company tell our story.” This is how I stand out from the crowd. There’re a lot of copywriters out there. Why are you concerned when you first got into this business and selected the specialization? , By saying that you specialize in white papers and even going further than that, just saying that you do it for B2B technology firms, didn’t you have a concern that you would lose business? Sure. My sweet spot is technology software, but I’ve written about medical devices and hospitals and negotiating with insurance companies over healthcare costs and all kinds of things. I have to admit that when I go out of my specialty, it takes me more research and those projects are a little less profitable, but they’re interesting. I didn’t want a totally steady diet of just one thing. If you Google copywriters, you’re going to probably get 34 million results for copywriters, but if you Google whitepaper writers, I’m fortunate I’m at the top of the list there. You get one-tenth as many. Marketing with content is the way to gain an edge of becoming a trusted advisor, which is exactly what consultants want. What I suggest to all consultants as well is the importance of having a specialization and using that to establish your credibility and your authority status and all of that and it makes so much sense. A lot of people have this concern that by focusing so much, you’re going to be shutting down a lot of the market and losing a lot of potential business. I’ve found it to be the opposite of that and you’re a great example of how that’s not the case and how your business has benefited from having a clear specialization. At the same time, you mentioned that you’re still open to taking on other projects even though it may not be your sweet spot or the core of what you do, but if it’s a good fit with a client, it definitely hasn’t stopped clients from other industries that aren’t in that sweet spot from contacting you because if they see the need for them, then they are obviously curious if you’re to help them as well. It gives a conversation opener. They’ll contact me and say, “Have you ever worked with anybody in our niche?” Chances are I have or I’ve done something similar, I’ve helped the company with their marketing challenge. I want to help your listeners drill down into that idea of specializing a little bit because there’re two dimensions of specialization. There’s a horizontal specialization and there’s more of a vertical specialization. I’ll start with an example of my own a business and then we can extend that out. As a writer, I can specialize in a type of document like white papers or case studies. Copywriting is pretty fuzzy, so if you focus that down, and I focused it down in on white papers, I would call that a horizontal focus in what I’m doing. Then I can focus in a vertical market like a B2B technology, or even more fine like B2B software, and then of course going to medical devices or something is a little bit outside of that. If you put those two on top of each other, you got a super laser focus. I write white papers for B2B software companies. That’s super focused, and fortunately, that’s a nice big a market. How would that apply to any other consulting company? There’re vertical markets and many consulting companies specialize at a certain vertical, like manufacturing or retail or travel or whatever. Then there’s this horizontal slice, too, about what do you actually do. Do you help people generate more leads? Do you help people to hire effectively and manage their staff and keep them happy? Do you help people factor their invoices? There are a million things that consultants can do and talk about and help. The horizontal is what you do, the vertical is who you do it for. One thing to add to that is talking about what the results that you generate are. We do this for this and this is the result or the expectation or the deliverable or the outcome that you’ll be able to achieve. The ultimate way to prove your results is to have your own customer stories or testimonials. I’ve been too busy to write up my own, but I do have a list of samples with a short little testimonial from about twelve different companies on my site and that’s doing the trick for now. Could you offer a few quick tips for the consultant listening to this that’s thinking, “I’m sold on the idea of white papers. 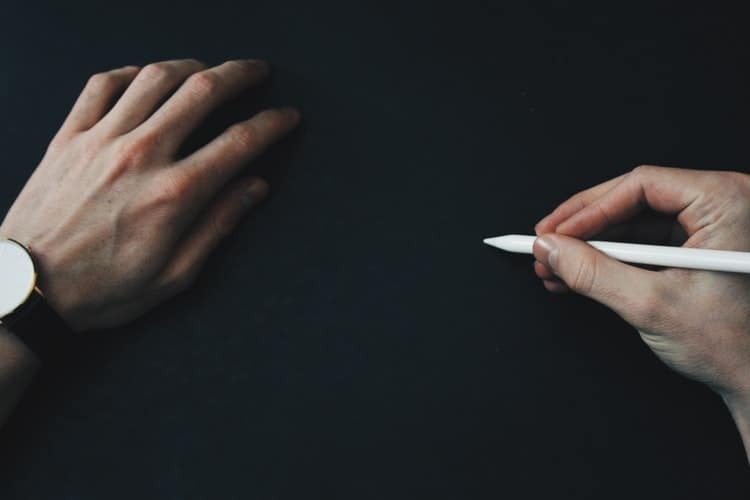 It’s something that I should move forward with or consider creating, ” a quick overview of some key points that consultants should keep in mind when creating a white paper. It’s important to put yourself in the shoes of your prospects. Forget talking about your own company and think about what is a nagging problem that they have been dealing with, the problem that your company or one of the problems that your company exists to help them solve. Think about that and start off with that with that frame of mind, and then think about what you could say, your best thinking that you could offer them that you’re not afraid to give away. A lot of consultants are afraid to reveal their methods or their concepts or their insights. As long as you’re afraid and you hold yourself back and you do what everybody else does, you’re not going to stand out from the crowd. Believe me, as soon as you start standing up and saying, “This is what we think, this is what we believe, and this is how it helps people and this is this terrible problem that our industry is facing, and these are the ways that people have tried to tackle in the past. None of those are any good. Here’s a better way to do it,” and you’re not doing it in a pushy sale-sy way, you’re doing it in a way to try to help educate people, that will help you stand out. The ultimate way to prove your results is to have your own customer stories or testimonials. The numbered list is the best way to do that. All you do for a numbered list is you take one of these issues that keeps your prospects up at night, you take one of these a terrible problems, and then you start free associating and thinking, “What seven or eight things could we tell them about that?” Try and get a list of twenty things, twenty tips. I read down the list of the “Six things you must know before you buy a business process software,” so that’s an example, but think about blips. They don’t have to be built into any big long connected narrative. It’s a mosaic, so it’s an idea here and idea there. “Another thing and another thing. What about this? Yeah, there’s that too. Yeah, and here’s another thing.” It can be tips, it can be questions, it can be gotchas, it can be best practices. Then keep the best, keep the most powerful six or seven or eight of them, write up a couple of paragraphs under each one and there you’ve got a very handy and useful white paper. He puts that out in his website, and somebody is looking for a plumber and they come across John and they come across James and they come across Jake and then they come across Joe, and Joe is the only one in the batch that’s got something here is our free special report about eight jobs you can handle yourself and four that you should call a plumber about. Who do you think they’re going to trust more and who do you think they’re going to like more and who do you think they’re going to call? They’ll call up Joe and I bet you dollars to donuts that some of them are going to say, “I saw your report and I can do most of my own plumbing, but I got a job here that’s number three in your list that I better call you, so I figured I’d give you a call.” You’re helping them understand something and figure out something and deal with a problem. Your website is ThatWhitePaperGuy.com. You have an article section which actually has some great resources. 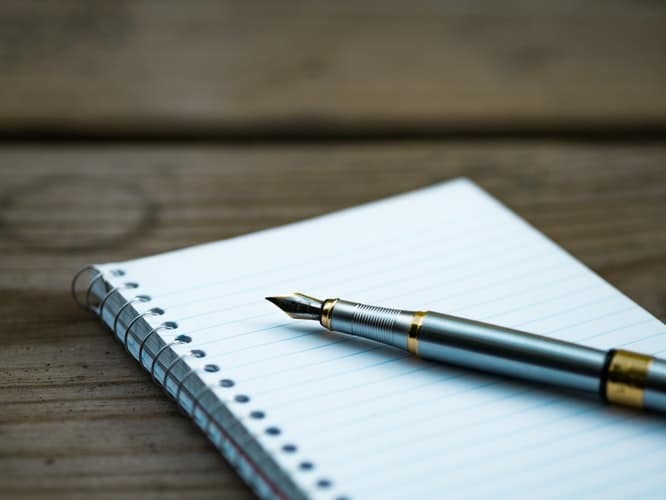 For anyone thinking about writing a white paper, check out Gordon’s site because he has some great resources there to help you to plan your white paper. Even bigger news is that you have a book, White Papers for Dummies. Can you tell us a little bit more about that? That’s one of the most infamous books with the black and yellow covers on it, White Papers for Dummies. It’s 384 pages. It’s selling at Amazon for about $15. That’s about $1 for every year’s worth of learning and advice that I packed in there. It’s the most comprehensive book on white papers that’s ever been published. It’s certainly the longest and it’s got everything in there from writing to research to managing to picking the right type, which type you need at which part of the funnel, some tips for how to design the white paper, and links to samples on my website. I hope that people find that helpful. I packed everything I’ve learned into that book and I’m very excited. Gordon, thank you so much for doing this interview. I appreciate you sharing your wisdom and experience. Thank you. I hope that was useful. If any of you want to call me up for a quick chat, I’m always available to give people my two cents’ worth. An eye-opener! I’ve produced white papers or policy briefs for senior public sector clients as a means of strengthening evidence-based decision-making, knowledge of a given issue. This is usually while under contract and delivering the service. Never thought of it as a marketing tool and never delivered to private sector clients. Will change that! Great! Practical advices with real examples on how to take advantage from writing white papers. Thanks! Michael – thanks for having Gordon on your podcast to share his insights and expertise. Such a great resource and will be employing some of these methods going forward. Chris – that’s great to hear!